"Students learn by example and firsthand experience," said Ms. Deb Nolting, a second grade teacher from Indiana. 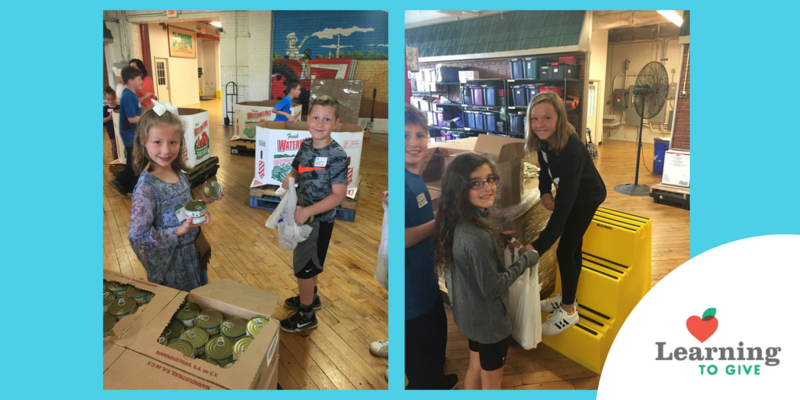 "Service learning [through philanthropy education] incorporates both of these techniques in a loving and fun way." If students tend to learn best through example and first-hand experience, why is the traditional education system so focused on test scores and standards? Philanthropy education designed by Learning to Give provides a unique opportunity to bring that best practice teaching style into the classroom across all disciplines with an embedded curriculum that doesn’t take time away from core subjects. Learning to Give provides the support educators need to equip and empower their students to be active, engaged, and caring citizens. In much of the country, educators are putting attention and time into lessons around kindness. There are clubs, groups, movements, days, weeks, and more all centered around the concept of being kind. It takes very little effort to be kind and the benefits are becoming increasingly apparent. Research shows that kindness is known to contribute to increased well-being for the recipient and the giver (Cotney, et al., 2017). In some cases, kindness even increases an individual's likeness; meaning the kinder they are the more likely people will like them (Layous, et al., 2012). Kindness and its effects are often linked to greater empathy, self-awareness, self-regulation, and peaceful problem solving (Ponischil, 2014). Additionally, those who participate in activities meant to increase kindness at a young age tend to experience better predicted academic achievement later in life (Ponischil). Kindness is a wonderful word and action to rally around, but there are deeper roots to be planted and increased care to be had when educating children and adolescents about what it means to be a kind, active and engaged citizen. There is an opportunity readily available to build upon kindness through a more systemic, ongoing effort that is woven into each and every school day. In a 2018 article titled A Better Way to Talk About Education by Helen F. Ladd, support for shifting away from a test-centered focus in schools to the development of well-rounded and engaged citizens is at a breaking point in the U.S. According to the article, "The overall goal of education should be to equip children with the knowledge, skills, attitudes, and dispositions that they will need to flourish as adults in a democracy." "You may forget learning the Fundamental Theorem of Calculus, but you will never forget how you made someone feel by lending a helping hand and they will never forget how you made them feel," said Mrs. Maria Found, a high school calculus teacher from New Hampshire. Philanthropy education and service aligns knowledge and skills with students' innate caring and generosity. Students become aware of needs larger than their own and take action to address them (purpose); Students are engaged in activities that apply and expand their learning (mastery); and Students take a role in directing their own learning experience (autonomy). Learning to Give describes the above more simply as educating, equipping, and empowering students to be giving and caring citizens through standards-aligned lessons and activities. The present shift in education is not about adjusting academic rigor and removing what makes a curriculum. Instead, the means to developing well-rounded citizens is to make the students' innate caring and generosity, as well as needs and passions, a driving influence of the educational system in which they learn and grow. While learning the history and practice of giving time, talent, or treasure for the common good, students participate in discussions and actions that not only meet academic standards, but also help students bridge the space between classroom texts and real-world application. Over 70 third-grade students in Indiana learned about stewardship of the natural environment and worked to clean up a local park after devastating floods. "It makes me feel awesome to know how much we're giving to the park," said one third-grade student. Just over 600 middle school students from Texas learned that we all have different life experiences and needs through a diversity lesson and blanket-making project. 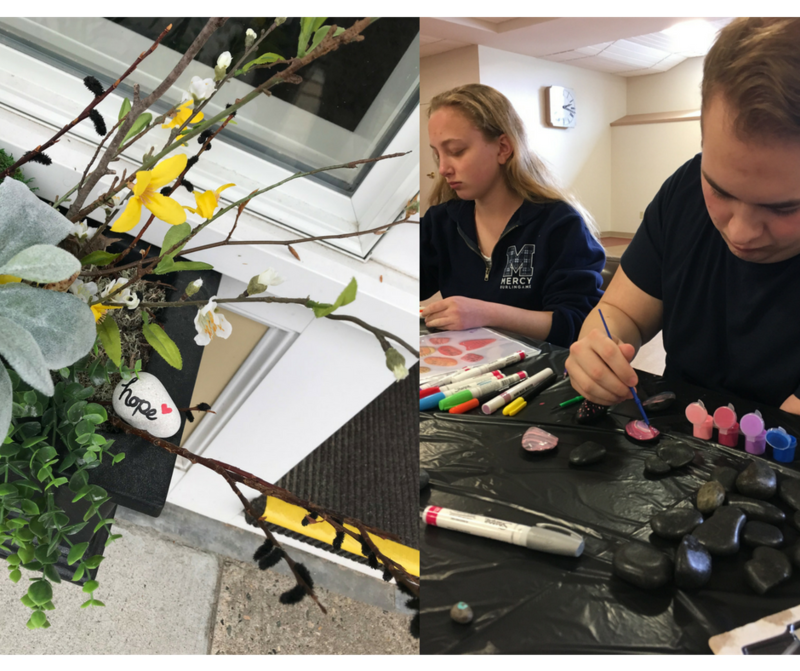 "The students were so inspired that they created a whole additional service-learning project focused on creating flowers out of the fleece scraps," said teacher, Ms. Ishee. A group of high school students, inspired by discussions about everyone's ability to give, developed Project Dream Day in which they gave their peers with intellectual or development disabilities the opportunity to experience a "dream day" of their own creation where they didn't feel any limit to what they could do. The students are turning the project into a legacy program that each senior class will continue for years to come. Lessons, activities, and resources help educate youth about philanthropy, civil society, and democracy by equipping them with experiences to participate in community and empowering them to take action in support of their passions and values. The lessons that prompted these actions helped students feel capable and worthy of being a part of something bigger than themselves while recognizing that they have the power to make a difference. Learning to Give not only fits naturally in all teaching disciplines, but also promotes Social Emotional Learning (SEL). SEL is a teaching strategy and process through which children—and adults—acquire and apply knowledge, attitudes, and skills necessary to understand and manage emotions, set and achieve positive goals, feel and show empathy for others, establish and maintain positive relationships, and make responsible decisions (casel, 2017). SEL and Learning to Give have the potential to inform "educational goods" as described by the book Educational Goods: Values, Evidence, and Decision-Making, where Brighouse, et al., argue students should be prepared through a K-12 education how to succeed in the labor market, participate in the democratic process, make their own judgments, develop healthy interpersonal relationships, feel personally fulfilled, and treat others with dignity and respect. This approach of teaching the whole child moves us away from teaching to a test and measuring ability based on scores or standards and instead creates opportunities to help students strengthen their skills in critical thinking and communication, in addition to showing them the power of community. When we focus our attention on the students and communities in which we live, whether locally or on the global stage, we ourselves engage in a more democratic society. 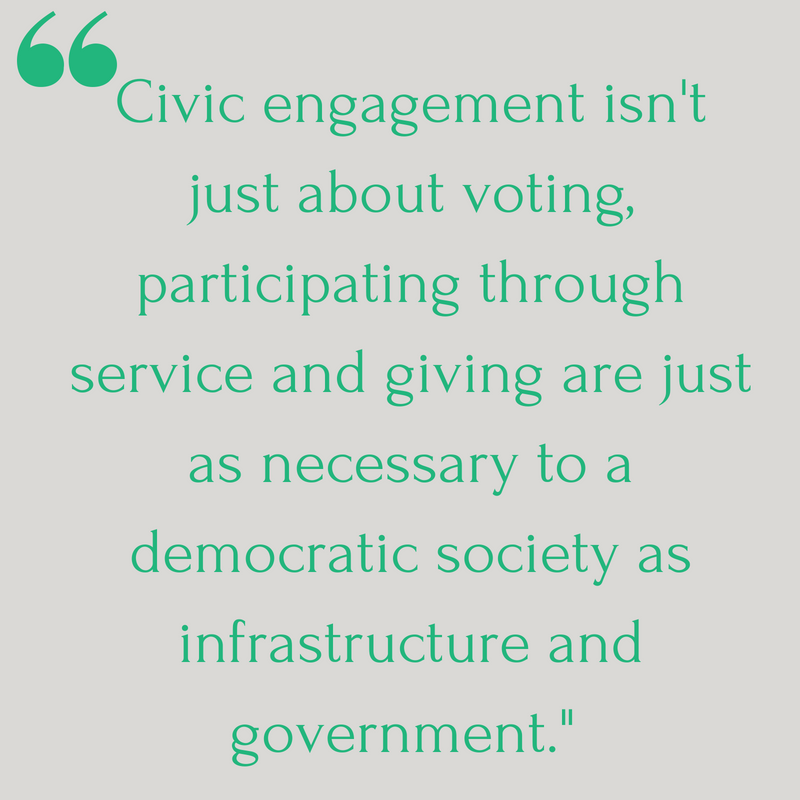 Civic engagement isn't just about voting, participating through service and giving are just as necessary to a democratic society as infrastructure and government. Teaching to a test with little or no practical experience or engagement outside of required texts only limits what educators are able to do to help their students understand, achieve, and participate in community. When it comes to the classroom, there really is limitless potential and opportunity for widening the door and helping students thrive. 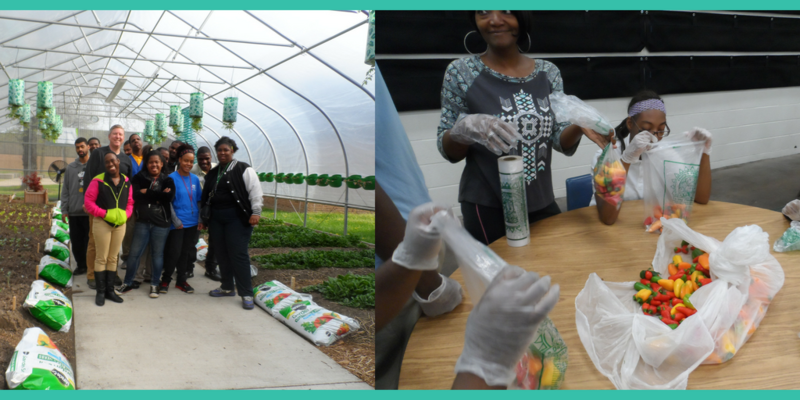 This service-learning project reflection from a 7th grade Indiana student says it all: "Knowing that everyone is coming together to accomplish something for the common good makes all the work worthwhile." Philanthropy education and service through Learning to Give helps educators, schools, and organizations bring the focus of education back to the student, with the goal of increasing student citizenry, community engagement, and generosity. With the support of Learning to Give, educators can enhance their academic expectations to build classroom community and lifelong philanthropic and civically engaged citizens and as a result, the next generation will care for and promote community.